Some of your favorite performances captured by HBCU Gameday. 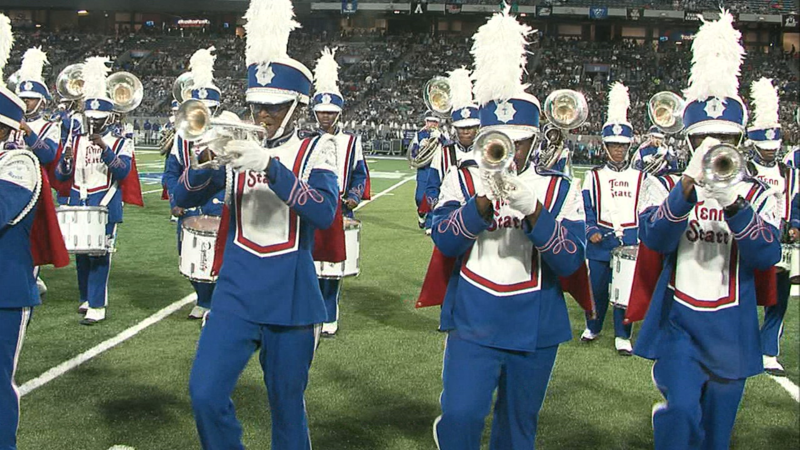 HBCU Bands delighted fans across the country during week one and HBCU Gameday was there for some of the action. So let’s get things kicked off with the Aristocrat of Bands from Tennessee State University who were in Atlanta on Thursday night to take on Georgia State University. Saturday was a big day in Alabama for the Marching Maroon and White of Alabama A&M. They were in a familiar location at Legion Field in Birmingham saying hello to an old friend once again. The University of Alabama at Birmingham revived their football program and welcomed the Bulldogs along with 45,000 plus fans into the Magic City. The Maroon and White did their part to give them a show. The game of the night in Alabama was Tuskegee vs Alabama State in Montgomery. The game was a tight one on the field and halftime was no different. Make no mistake about it however, the home team always has the advantage. The Mighty Marching Hornets pulled out the fireworks. Literally. Hope you enjoyed the shows, we’ll be back next week with more of your favorite HBCU bands.